Professional grand dispensing systems and tools for us in animal care facilities. Free shipping over $149. Dealer discounts available. Official ProVetLogic Southwest Regional Distributor. The DSG Solution Depot is designed for diluting and dispensing ProGienics Concentrates from 5-gallon, 30-gallon and 55-gallon containers for large area applications. The DSG can be installed and setup for a wide variety of product and protocol applications. The DSG can dilute and dispenser two separate concentrates at multiple settings and into multiple containers. 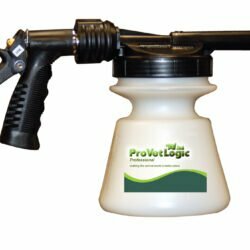 The DSG can be configured to fill our ProFoam 2 Foam Gun to eliminate having to hand pour or pump from large product containers. 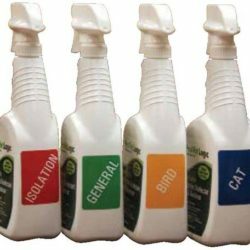 The ProVetLogic “HOT ZONE” Spray Triggers can be set at a course spray to reduce chemical overspray and the potential for URI (upper respiratory illness) in sensitive species such as felines and birds. The ProVetLogic “HOT ZONE” bottles will maintain product efficacy for up to 30 days! They have EPA arrived primary and secondary labels. ProFoam2 is a hose end32 oz. 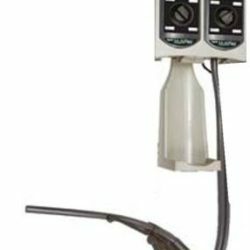 foamer offering automatic dilution with convenient control of where and how ProVetLogic concentrated cleaning solutions are applied. Application of diluted solutions with the ProFoam2 hose-end proportioner is easy. On and off functions are finger-tip controlled using a trigger on the spray nozzle. 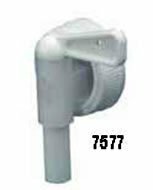 To rinse, the concentrate container is disconnected using an easy-to operate quick coupler, which is designed to allow either a full width spray or powerful jet stream when rinsing. This range of control helps animal care personnel put the solution only where it’s wanted. The handle on the containers increase the operator’s control over application. ProFoam2 eliminates the time and hassle of manually mixing concentrates, which not only increases labor productivity, but also increases concentrate performance because the solutions are consistently mixed as directed by the manufacturer. Since concentrates are mixed only as they’re applied, they are fresh and will perform at peak power, and waste is minimized. Complete system includes 18” Frame, 32 oz. dispensing bottle and 54” handle. 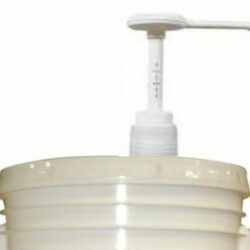 Removable dispensing bottle features a wide opening for easy filling and clean out. 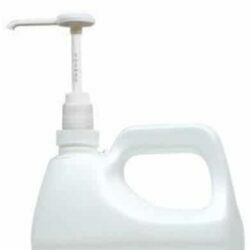 Translucent, graduated dispensing bottle identifies fill level in both ounces and milliliters. Durable, ultra-light construction reduces user fatigue. Polypropylene scrubbing strips for better deep grout line cleaning. foam for more bacteria resistance. Excellent launder ability. Can be washed and reused hundreds of times. Great for quick cleanups and turning treatment rooms faster. 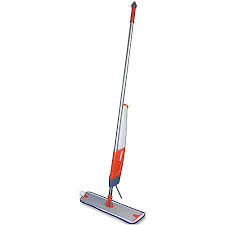 The flat mop pad grabs and holds dirt and grime. The mops have an additional layer of microfiber for fluid retention versus a layer of foam for more bacteria resistance. Excellent launderability. Can be washed and reused hundreds of times. Allows you to prepare and keep pre-diluted solution on hand. Translucent bottle for easy fill viewing.